A great Hi-Viz jacket for Fall for men and women. Be seen on the road or in the woods. 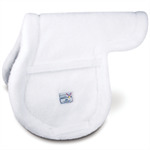 Great comfort for you and your horse on the trail. 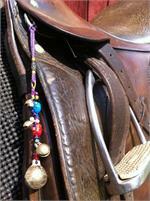 Comfort for you and your horse for the long haul! Minor cosmetic seconds. 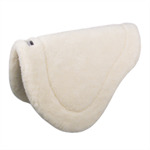 A classic contour pad for your endurance dressage saddle in your choice of fabrics, sizes and shapes. 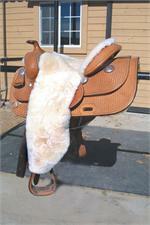 A classic contour pad for your western endurance saddle in your choice of fabrics, sizes and shapes. Often called the Barrel Endurance shape. 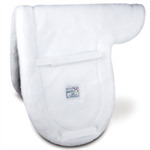 A classic contour pad for your endurance general purpose saddle in your choice of fabrics, sizes and shapes. Blaze orange quilted square pad. Safe Riders Hi-Vis Chest Plate - Reversible to Blaze Orange! High visibility on the road or in the woods. Reversible to blaze orange. Be seen on the road or in the woods. "PLEASE PASS WIDE" on back. 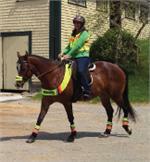 Safe Riders Hi-Vis Helmet Band- Reversible to Blaze Orange! Be seen on the road or in the woods. Reversible to blaze orange. Your horse will be seen on the road or in the woods. Safe Riders Hi-Vis Safety Nose Gear- Reversible to Blaze Orange! 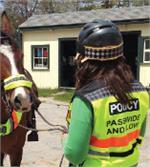 Excelent for front or side visibility on the road or out in the pasture. Great for visibility from the rear on the road. Spreading good cheer no matter what time of year! Great, comfortable synthetic breastplate. GLOW IN THE DARK! High visibility and comfort on the trail. 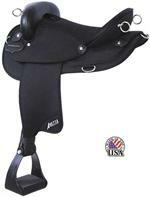 All day comfort in the saddle. 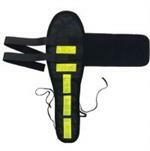 Great pad with shock absorption and vents. 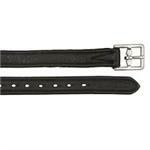 Soft calf leather with nylon core. 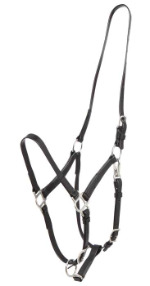 Zilco's easy care bridle part attaches to their halter to make a complete bridle. Available in great colors! 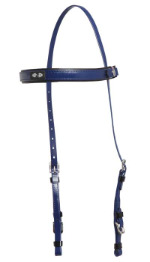 This easy care synthetic halter combines with the endurance bridle part to make a complete bridle. Available in colors! 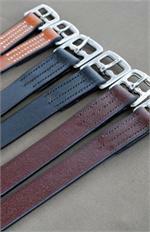 Synthetic reins with woven rubber and snaps. 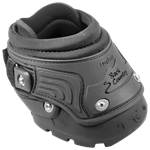 The NEW Trail hoof boot. The original hoof boot. Available in pony sizes.